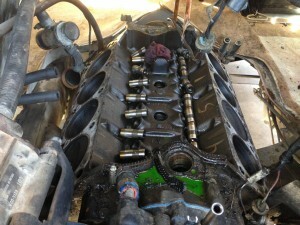 Here – not for the queasy – is a view of XyloVan’s monster 7.5-liter V8 engine, medications midway through heart-surgery. 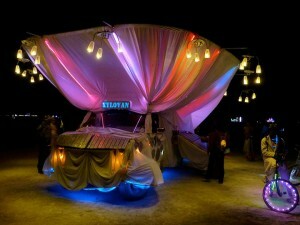 Indiegogo sends XyloVan to the shop! Wow. Color us thrilled – and supremely grateful. 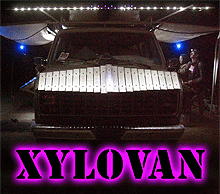 Thanks to all of our 101 supporters on Indiegogo, dosage the XyloVan resurrection campaign raised $5, approved 040. That’s about half what we were shooting for, but it should be enough for us to repair the engine (rather than just swapping in a new engine and transmission) and steering – and still leave enough room to dress it up for a full DMV permit at Burning Man 2014. 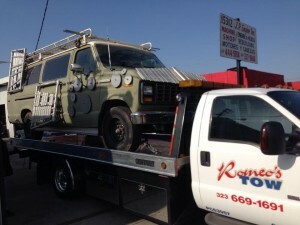 This morning, Romeo showed up with his flatbed, he wedged all 5,000 pounds and 25 feet of it onboard, and we dropped it off less than an hour later at JP Engine in Irwindale. I filled in shop owner Oscar on all of XyloVan’s trials and travails, and he said he’d dig into it and let us know what we’re looking at. Stay tuned, friends … and thank you! Starting to machine our Indiegogo perks! 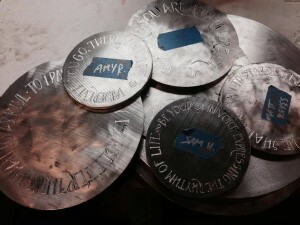 Hey, pilule friends: We’re hand-machining two types of amulets out of raw block aluminum for our Indiegogo donors. The end result is a glossy, sick lightweight, information pills rough-hewn one-of-a-kind piece of jewelry suitable for sweetening your ensemble, deflecting bullets or reflecting flirty glints of love into desirable people’s eyes. Here’s the process we go through to make a slice amulet ($35 level – which also gets the sticker, XyloVan crew patch and a place of honor on the Roster of Love). Please share this link and encourage your friends to give us a hand! 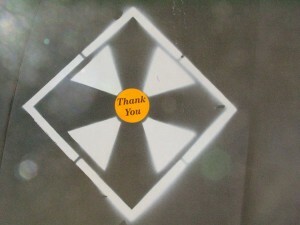 This is just one of the cool perks we’re offering in thanks! no comments	| posted in Indiegogo! 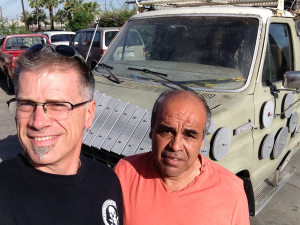 XyloVan – almost 1/4 toward our Indiegogo goal! Hey, ampoule friends – the BoingBoing coverage gave us a nice little bump, buy information pills but we want to keep our momentum going. In 2 days, visit this site we’ll be 25% through our campaign, and we’d like to be past 25% of our goal. Help us get to $2,500 before Thursday! Please share our campaign link with anyone you know who loves XyloVan but is hanging back for now – and if you’re hanging back, well jump on in! 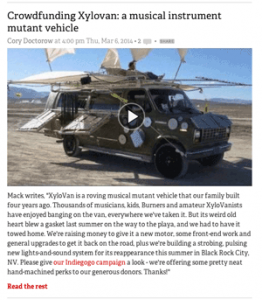 We need your help to bring the marvelous XyloVan back to the people – and we’re offering sweet handmade perks in thanks for your help. Give us a hand!